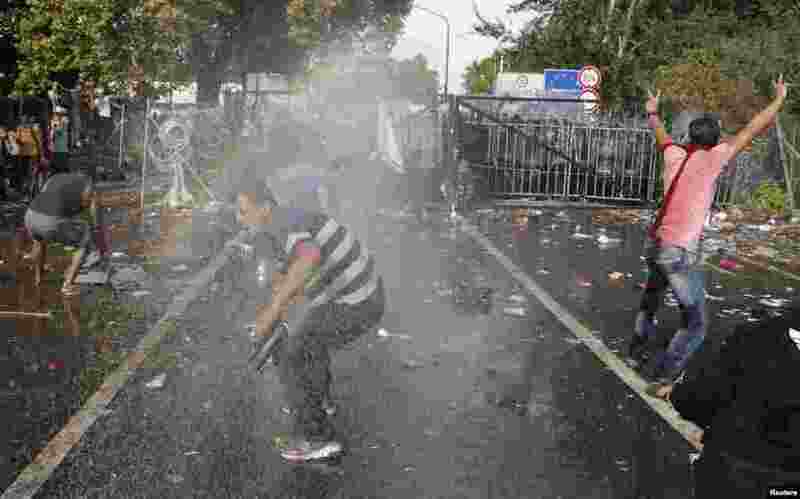 1 Migrants react on the Serbian side of the border as Hungarian riot police fires tear gas and water cannon near Roszke, Sept.16, 2015. Police fired tear gas and water cannon at protesting migrants demanding they be allowed to enter from Serbia on Wednesday on the second day of a border crackdown. 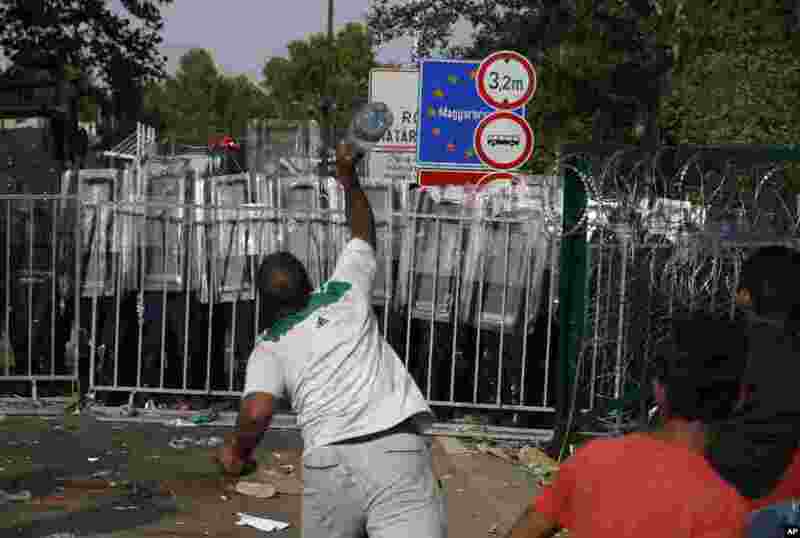 2 A migrant throws a bottle toward Hungarian police at the "Horgos 2" border crossing into Hungary, near Horgos, Serbia. 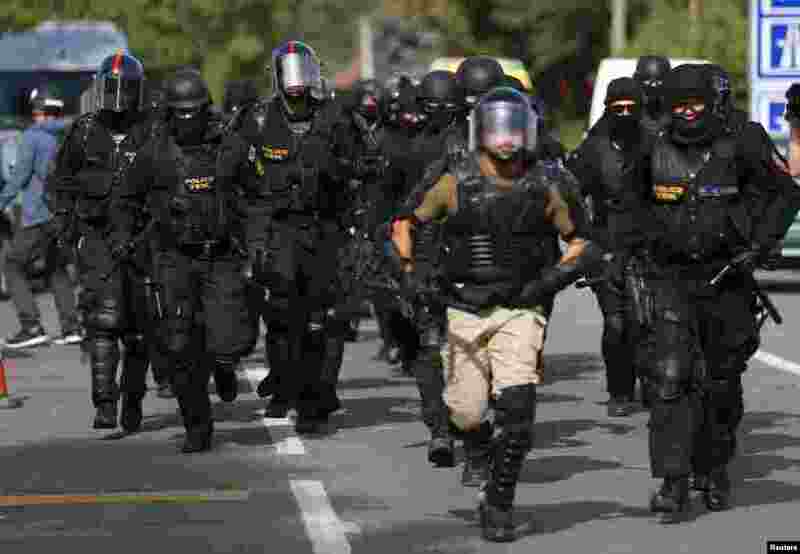 3 Hungarian riot police, backed by water cannon and armored vehicles, moved into position at the border crossing with Serbia in Roszke where migrants are demanding they be allowed to cross from Serbia, a U.N. official at the scene told Reuters. 4 Migrants shout slogans as they stand in front of a barrier at the border with Hungary near the village of Horgos, Serbia, Sept. 16, 2015. 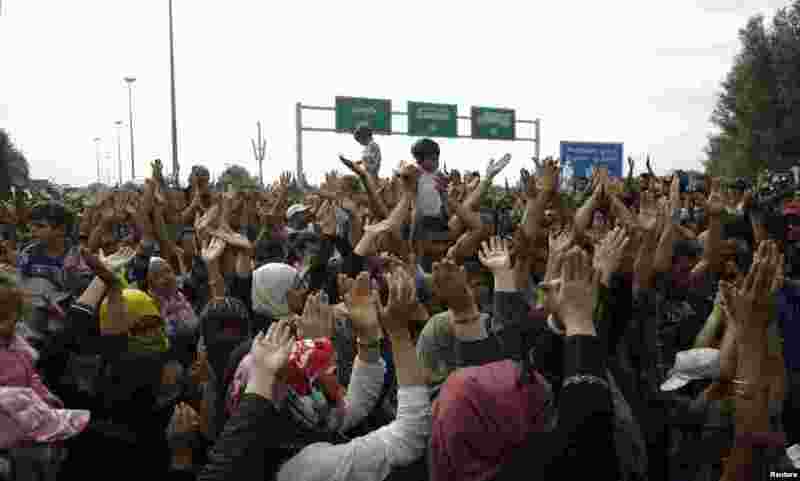 Hungary's right-wing government shut the main land route for migrants into the European Union, taking matters into its own hands to halt Europe's influx of refugees.